Unified Infotech Inc. got recognized as the top web design company in New York by Clutch- an elite B2B Ratings & Reviews company. "We believe in weaving meaningful stories with every web design that we do, keeping in mind the proven design principles that convert", says Pratip Biswas, Founder & CEO Unified Infotech Inc.
Unified Infotech Inc., a leading web design company announced today that it has ranked no.1 on Clutch.co’s listing. Clutch.co, the largest review and listing website in the world positioned Unified Infotech as No. 1 web design company in New York and among Top 5, worldwide. “We are extremely proud and happy for the fact that we have been positioned as the top web design agency in New York” says Unified Infotech CEO Pratip Biswas. “It’s all because of our talented designers who have worked most creatively and delivered designs that wowed our clients ”. Unified Infotech Inc. have got positive reviews about their ‘design thinking principles’, ‘internal communication’ and ‘project delivery process’. The company since its inception, has been providing cutting edge solutions in web design, web development, app development, market research, data analytics and consulting services. Previously, the company has been recognised by Deloitte, among the 500 Fastest Growing Firms. The company has raised more than $30 million venture funding till date, with an estimated annual revenue of $4.5 million. With a diverse portfolio at their vault, Unified Infotech Inc. stands out as one of the leading technology consulting firms in the U.S. market. The company’s strength lies in crafting web designs that has been recognized by many and now by Clutch. The customer satisfaction is evident from their reviews over authority review websites. "Today, it is really a proud moment for all Unified Infotech Inc. members that we got recognized as the top web design agency in New York by one of the leading research and analytics firms Clutch.co. We’ll keep delivering cutting edge designs and strive to contribute the best in the design and technology market", remarked Mr. Pratip Biswas, Founder & CEO Unified Infotech Inc.
All the latest tools and design principles are used within the company. Since the company works with startups, SMBs and Enterprises in New York and adjacent areas, they have a large client base working with them. “Our USP is creating Human Centered Designs, which not only is appealing but is capable to engage, convert and generate ROI for our clients.” quoted Mr. Pratip. The company has a team of expertise with years of hands on experience in the market. In an industry populated by millions of developers, what makes Unified Infotech Inc. stand out, is their dynamism and agility to keep pace with the ever-changing tech economy in US. Clutch.co is a premium market research and data analytics firm, providing reviews, ratings and global recognitions to various companies worldwide. The firm is headquartered in Washington, DC. Unified Infotech Inc. is a technology company engaged in custom web development, app development, web design and consulting services. The company is headquartered in New York, NYC. The company strength is 100+ people with the development and design team in New York City, US. In the global presence, the company also have an office in India. Unifed Infotech Inc. positioned at top web design agency in New YorkClutch recognzied Unified Infotech Inc as number one web design agency in New York. 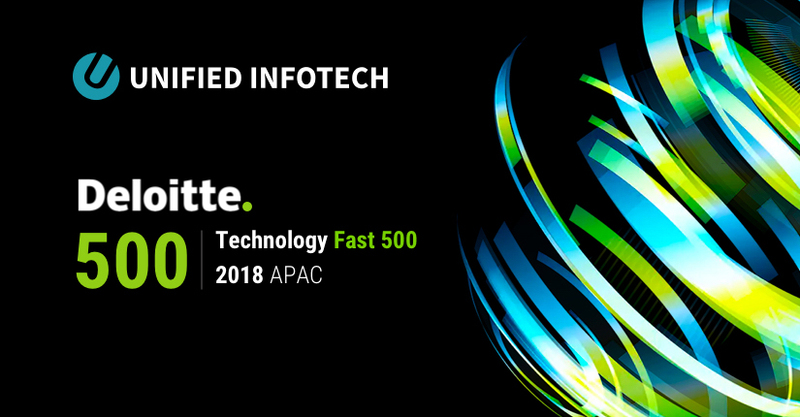 Unified Infotech Inc. recognized by Deloitte under Technology Fast 500Deloitte positioned Unified Infotech Inc. as the Technology Fast 500 companies Unified Infotech's design process and principle explainedThis infographic explains the design principles and the design thinking process followed by Unified Infotech Inc.